information overload | Agile KM for me… and you? We always want more, more and more of it. But as much as slow-food and eco-citizen trends are teaching us (again and again), the best can be the enemy of the good and looking at our real situation is just common sense. I’ve been involved in a few work assignments and projects where I (or other people) were asked to submit a lot of information. In fact, so much so that it seemed absurd how much of that information was going to be absorbed by the receiving end. Information greed is the ugly relative of information glut, like a monstrous yin and yang that keeps feeding off each other. But think carefully, if you are asking to get all that information, how much information can you really handle? What are you going to do with that information? I know it’s tempting to gather information ‘just in case’, and generally to learn, but the central question is and remains: learning to do what? Why? Why? Nine whys! 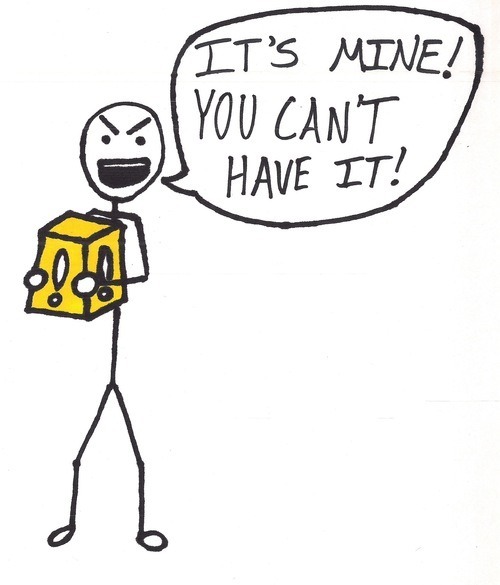 Or perhaps you’re just trying to hoard it and keep sole access to it? In any case you’re indulging in unhealthy and unnecessary ‘info dumping‘. If you are sure you won’t be doing something concrete about each piece of information you’re asking for, don’t bother asking for that information, whether you’re setting up a survey, organising a call for proposal or giving an assignment to someone. If you insist on receiving all kinds of extra information, you run the risk of a) being drowned in information yourself as you add a lot of ‘noise’ around what you actually really need b) losing your credibility as a person/team/institution that knows what they are doing and c) turning off the people you are asking to get that information and ensuring there won’t be more work with you in the future. I’ve seen teams prepare baseline survey questionnaires including over 200, sometimes 300 questions, basically requesting many individual farmers (who are hard working on their plot of land) to spend three, four or more hours on a questionnaire that doesn’t gratify them with any instant result. This is utterly absurd, and disrespectful. Peter and Justin: when and how does information make sense? Somehow, emails are not really part of what I would consider a KM infostructure, even though in practice they are essential, with apparently 62 billions of emails shared every day. Turn off email notification pop-ups and other apps that drive your attention to your inbox at all times. Take specific moments to look at your emails. I do it early morning when I start, after lunch break and at the end of the day. 30 to 45 minutes at a stretch. And that helps. I occasionally still don’t resist the temptation of checking emails more regularly but these three slots are really all I need and the rest is more like distraction tickling my bored brain. Do, delegate or dump. Another great brain spark of my dear ex-colleague Jaap Pels, and a variation to the theme: fight, flee or freeze. Either you can take care of the email yourself, or you should pass it on or you should just delete it because – seriously – it doesn’t matter! Do not put emails in a ‘to check’ folder – you will just never get to it. One related system that actually works in my case (on Outlook) is to categorize emails (e.g. websites to check, messages to check, friends’ messages etc.) but to keep them all in my main inbox so I think about them regularly and every so often act upon them. Answer within three minutes: If an email takes you less than 3 minutes to react, then just deal with it. On. The. Spot. Seriously, it will help. Do not react if it comes from someone that is quicker than their shadow to react. Emailing to one another is like dancing (except much much less pleasant): you need to find your common pace and style. There’s good chances you will always be overwhelmed if the person you’re receiving an email from is electronic mail’s Lucky Luke. Sharpen the saw, Stephen Covey would have said: find ways to remain dynamically in control over your emails. Coping with email overload (April 2012) – great tips about mindfulness and taking control. Strategies for dealing with email overload / how to get to and maintain inbox zero (date unclear) – a very neat guide in 3 steps (of multiple tips), highly advisable read. 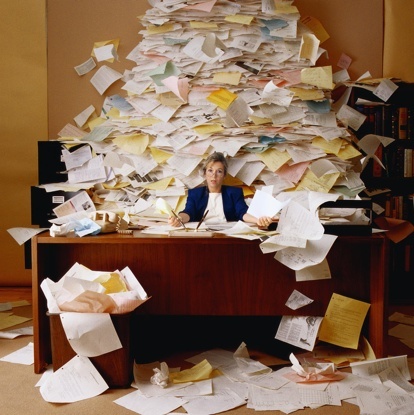 7 easy ways to reduce email overload (July 2012) – about the environment of managing emails. 5 ways to get email overload under control (July 2012) – simple tips to control emails. Why no one has tamed email (August 2012) – how did we come to this email overload situation in the first place and what can we do to fight it? The geek’s guide to dealing with email overload (August 2012) – a selection of tools that might help you. What are your tips to resist email overflow?